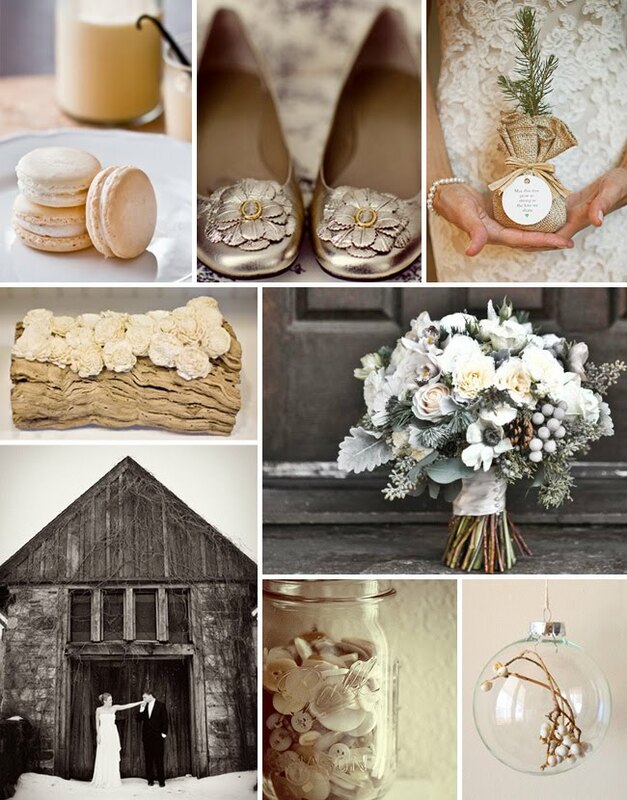 A lovely inspiration board for a winter barn wedding – lots of winter whites and yellowy eggnog colors with hints of pine, burlap, and silver brunia. A simple lace gown and beautiful elements from nature hanging in see-through ornaments from the ceiling. So lovely…don’t you agree? love this, jen!! so fresh & pretty! Love this board! So beautiful. I am salivating – truly – over that fab bouquet! Wow… I really love this. Alot. Does anyone have any idea where those shoes are from? They are gorgeous!! The shoes and the flower bouquet are exceptionally beautiful. This winter themed decor is elegant. I love all the details, nice work!!! Love the board and a cute bouquet! Where’d you find those adorable shoes? I love them!